Summary: Jo Ann Allen Boyce tells the story of her role in integrating Tennessee’s Clinton High School in 1956. She and other black families lived on “the hill”; blacks and whites had a fairly peaceful relationship, but lived completely separate lives. When she and 11 other students decided to go to the town’s high school, they became the first to integrate a public high school in the American South. Their town erupted into protests and violence. After months of escalating harassment, Jo Ann’s family decided to join other relatives in Los Angeles, where she graduated from an integrated school. A couple of the other Clinton students became the first black male and female to graduate from an integrated school in Tennessee. The book, written in verse, covers the period from January 1955 to December 1956, and ends with Jo Ann and her family driving away from Clinton. Includes an epilogue that tells what happened to each of the 12 students; several pages of photos; a timeline of school desegregation and civil rights landmarks; a bibliography; and a list of books and websites for further reading. 320 pages; grades 5-8. 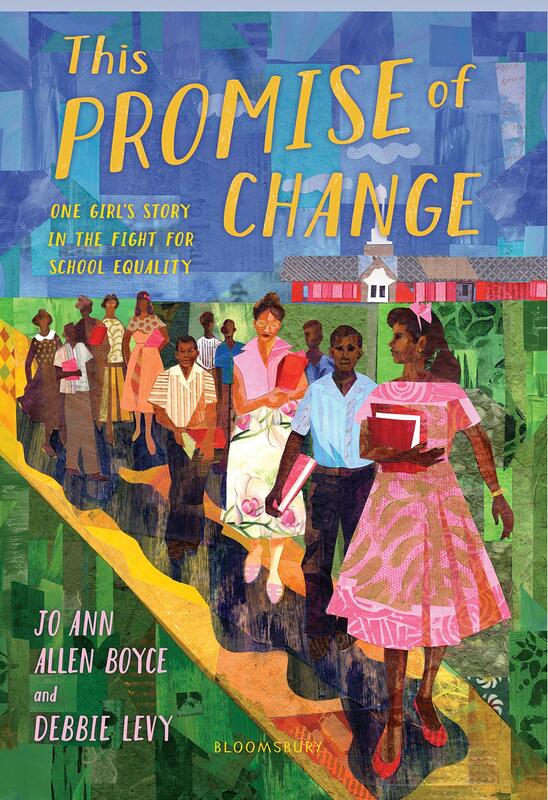 Pros: A lesser-known story of desegregation, Jo Ann is an inspiring narrator who describes herself as optimistic and felt bad moving away instead of “finishing what she started”. The verse format works well, and excerpts from news media of the day are scattered throughout the text, providing support for Jo Ann’s narration. Cons: It’s unfortunate these history-making teenagers were not as well-known as the Little Rock students.